Stuck In The Buckosphere: White Christmas??? 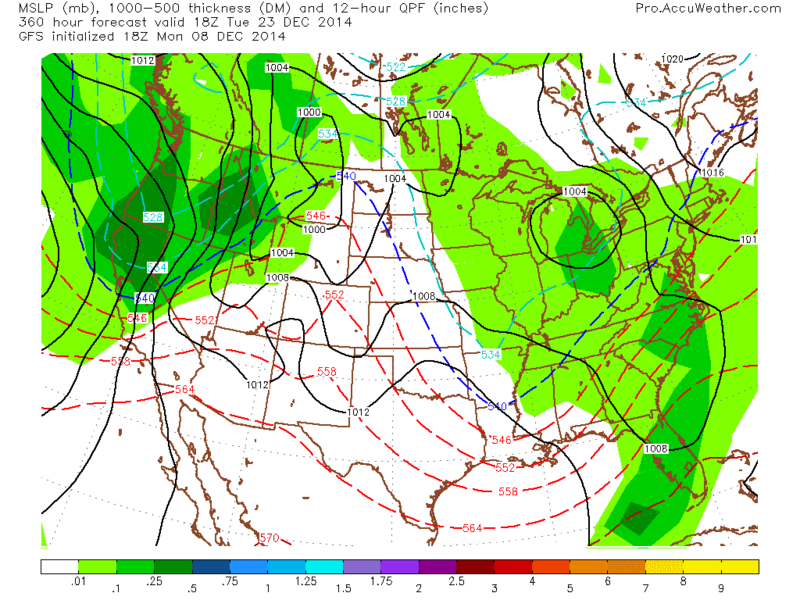 Sure it is a long way out... but let's take a stab at what the models are showing for Christmas... PLEASE take this with a grain of salt, but just tossing this out there. 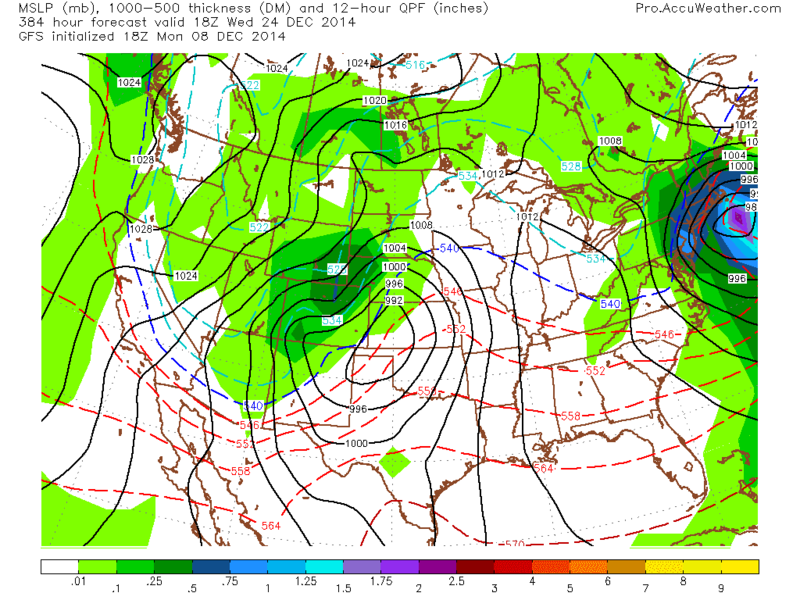 The models go out 384 hours, which puts us at 1PM Christmas Eve... The above image is the precip expected for 1PM the day before Christmas Eve. It looks like a nice snow for Ohio. The above image, here, is for 1PM Christmas Eve. The system has kicked off to the East Coast and looks like a DOOZY of a storm for New England. It looks like we may warm up to near freezing for this day or slightly above. But there is a cold pocket of air punching down in the Rockies. Above is the height differences in the atmosphere (Meaning pressure and temperatures changes basically). 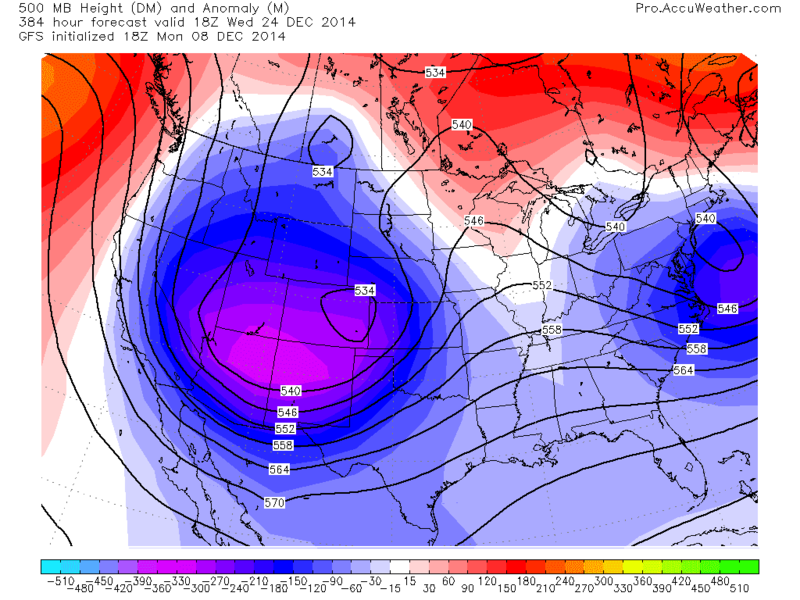 There is a big pocket of cold air out west ready to punch in for Christmas Day. Before the cold blast... there would be a cold front... cold fronts bring precip... and if the timing is right, that could lead to some decent snow around Christmas. Keep in mind... the atmosphere is like the ocean. It is all water vapor and predicting the waves in the ocean is hard... Ever been standing in the waves and try predicting when that big one out there will arrive? There are millions of variables in play, but just thought I would show you this. Something to keep an eye on... Have a good one!